Electric cars have many benefits; amongst other things, they’re better for the planet, quieter and lower maintenance than petrol/diesel cars. EV cars can be charged at public charging stations. Some are free, some charge a small fee, and they are available across the country. However, for convenience, most EV car owners do the the majority of their charging at home. Electric cars have ranges of 200-300 miles, so home charging will suffice for day to day running, but may need supplementing on long journeys. Can I charge my car from the mains? As a short-term or occasional solution, charging from the mains is fine. Continued daily use of a standard power socket, however, is not recommended. The solution is to install a specially-designed charger. These are becoming more and more common as adoption of the technology grows. Getting a charger installed on your property makes your life easier. It is safer and charges up to 2.5x faster than with a 3 pin plug. It’s just as quick as – or quicker than some – public charging points, and there’s no having to wait around at a service station. Home chargers – normally either 16-amps or 32-amps – can charge an electric vehicle from flat to full in 3.5 hours. The cost of home charging varies depending on your tariff (and, if on Economy 7, the time of day). An average electricity rate is 10p per kWh, meaning your car could cost as little as 2p per mile. You could make potentially huge savings on fuel – an estimated £1000 a year compared to petrol. If you are going to be charging your electric car at home, it might be worth getting a smart energy meter. Because you will be using lots more electricity than before, finding the cheapest tariff possible becomes more important, and having accurate real-time usage readings will help with this. Can I get a grant for a home electric car charger? There is a generous government grant for home charging points. The Office for Low Emission Vehicles gives eligible electric/hybrid car owners a grant of £500 towards purchase and installation. 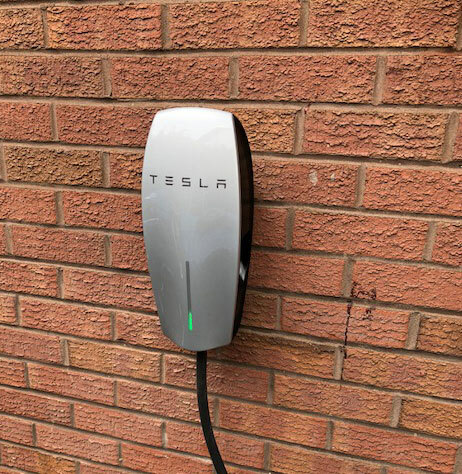 If your electric or plug-in hybrid vehicle was bought from 1st April 2015 onwards and you have off-street parking, you will be eligible for the grant, providing you use an OLEV-approved installer. You can get one charging point installed per eligible vehicle and up to two per household. 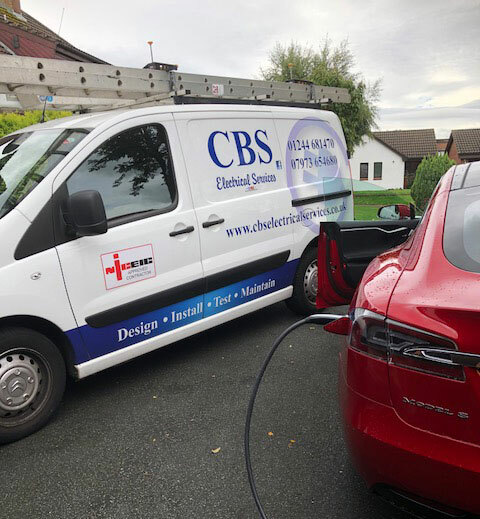 Interested in having an electric car charging point installed in your home? Please give us a call on 01244 681470 or 07973 654680, or use our online enquiry form.